RICE COUNTY – Law enforcement authorities spent the weekend searching along the Arkansas River in Rice County for a missing woman, according to a social media report from Kansas Game Wardens. “We had planned this search based on a tip we received,” said Rice County Under Sheriff Brian Treaster. 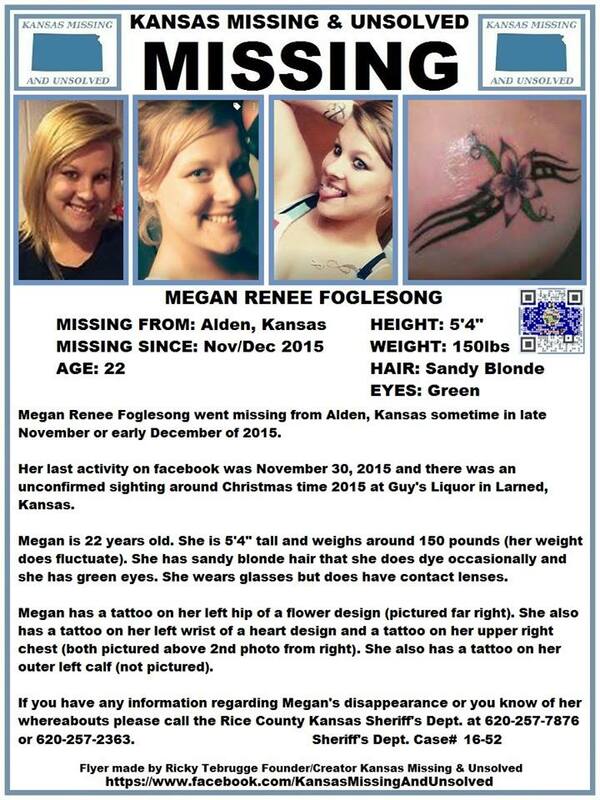 The Sheriff’s office had no additional details to report on Monday morning except that the search for Megan Foglesong, 23, Alden, continues. She was reported missing in November. 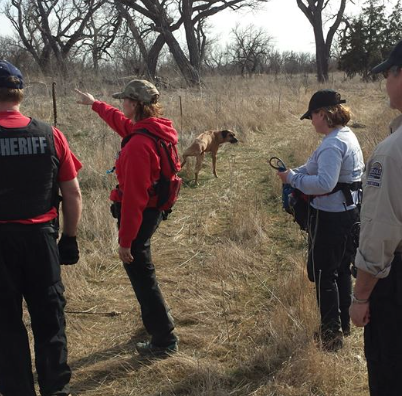 The Reno and Barton County Sheriff’s Offices, Lyons Police Department, Kansas Search and Rescue Dog Association and Kansas Game Wardens participated in the search.